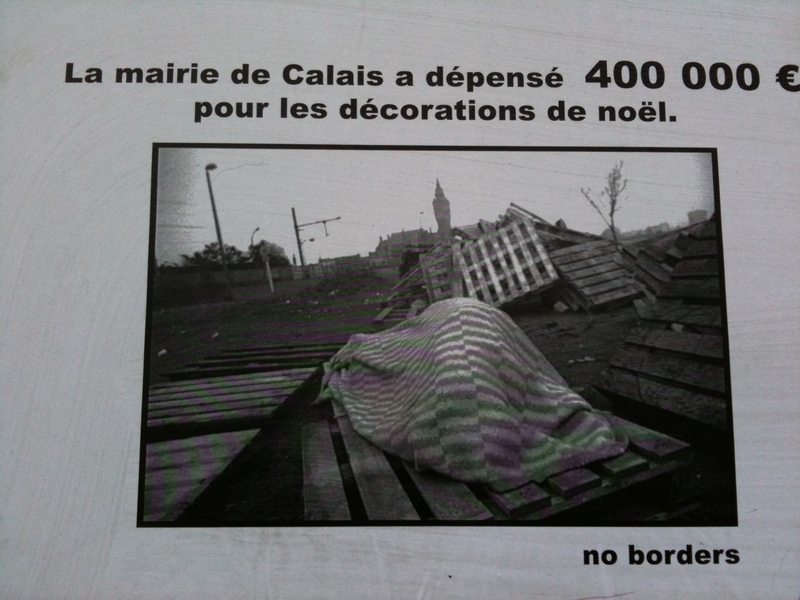 British media reports Sangatte bis opening in Calais. Radical British activists No Borders defiant. La Voix du Nord identifies mysterious hanger. The mayor blaming outside agitators. “To see these people from outside of Calais come to forment trouble in the heart of a neighborhood without taking into account the local Calais population is scandalous,” she declares. Les anglais ont débarqué, so to speak…. Activists from the transnational No Borders network and the French organisation, SôS Soutien aux Sans Papiers, have opened a large warehouse for migrants in Calais. The building is to be an autonomous space for migrants and activists struggling for the right to freedom of movement. It will be host to information-sharing, debate and practical solidarity. The Kronstadt building is located in the town that has become the symbol of Fortress Europe, a place where police arrests and beatings of migrants are a daily occurrence, and where night-time pursuits are relentless. By this act, they stand in solidarity with those for whom border and immigration control is a discriminatory, oppressive and unjust reality. In a real democracy, every person enriches society in myriad ways, and no-one is surplus to requirements; neither the unemployed, the young, the old, or the foreign. The space, the activists emphasise, is NOT to be a new Sangatte. No band-aid such as Sangatte could suffice to deal with the horrors undergone by the thousands who seek protection or survival from authoritarianism or capitalist wars while arbitrary national borders remain in place. Plans are afoot to hold meetings with organisations and local residents to define how they wish to support and to participate in the project.